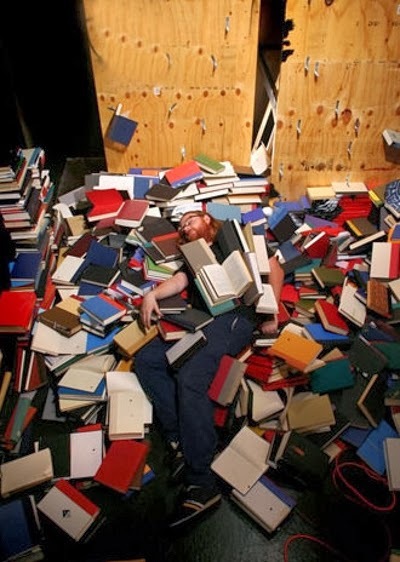 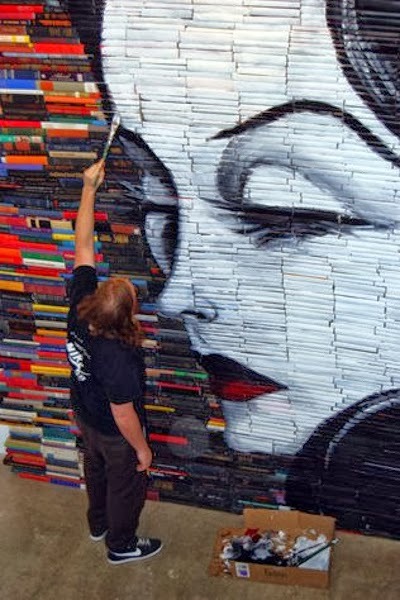 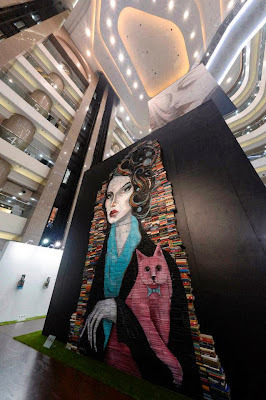 RETRO KIMMER'S BLOG: MIKE STILKEY: THE AMAZING MAN WHO CREATES ART WITH BOOKS! 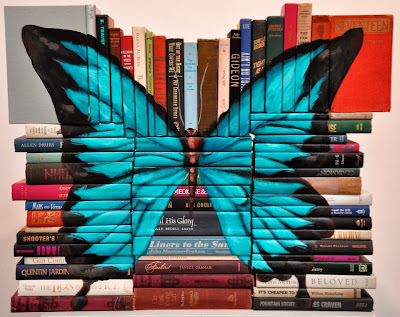 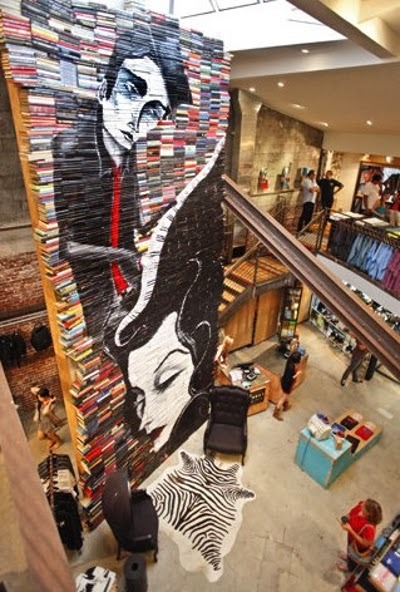 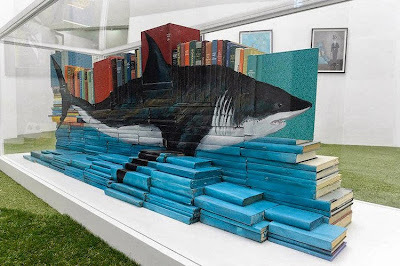 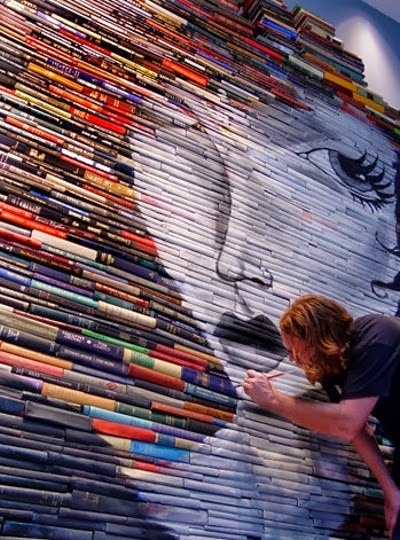 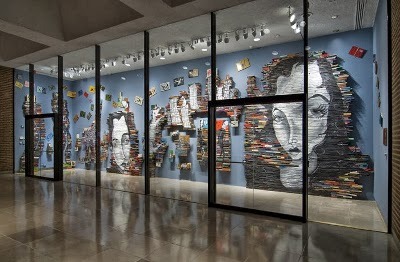 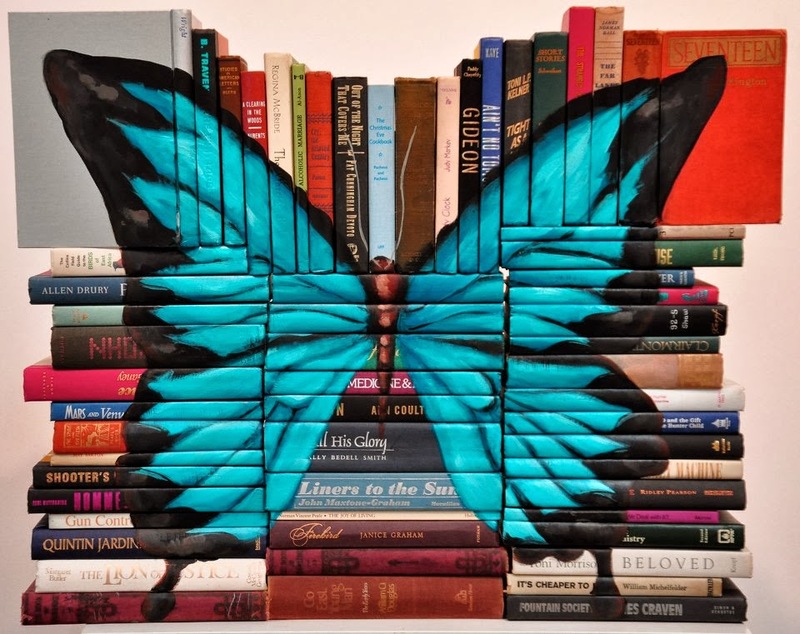 MIKE STILKEY: THE AMAZING MAN WHO CREATES ART WITH BOOKS! 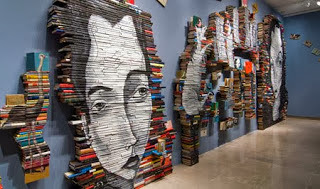 Mike Stilkey is an L.A.-based artist who forms book sculptures and paints on them as his canvas. 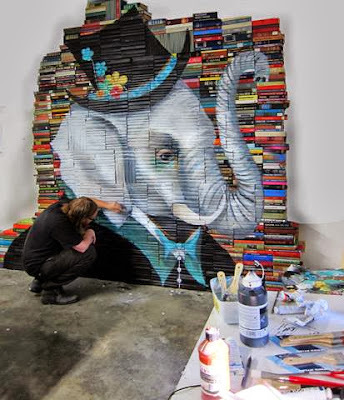 Los Angeles native Mike Stilkey has always been attracted to painting and drawing not only on vintage paper, record covers and book pages, but on the books themselves. Using a mix of ink, colored pencil, paint and lacquer, Stilkey depicts a melancholic and at times a whimsical cast of characters inhabiting ambiguous spaces and narratives of fantasy and fairy tales.